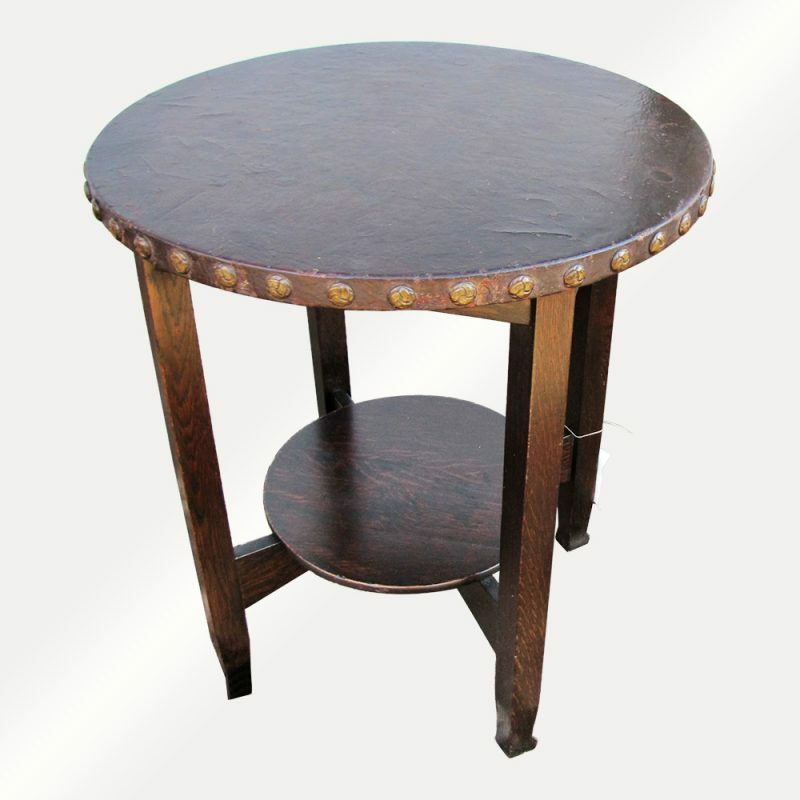 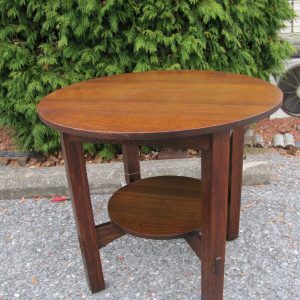 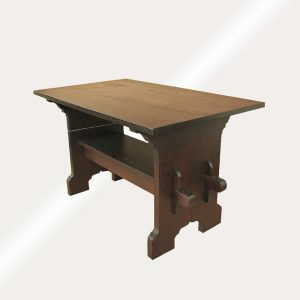 This is an Antique Stickley Brothers Lamp Table from the early 1900’s. 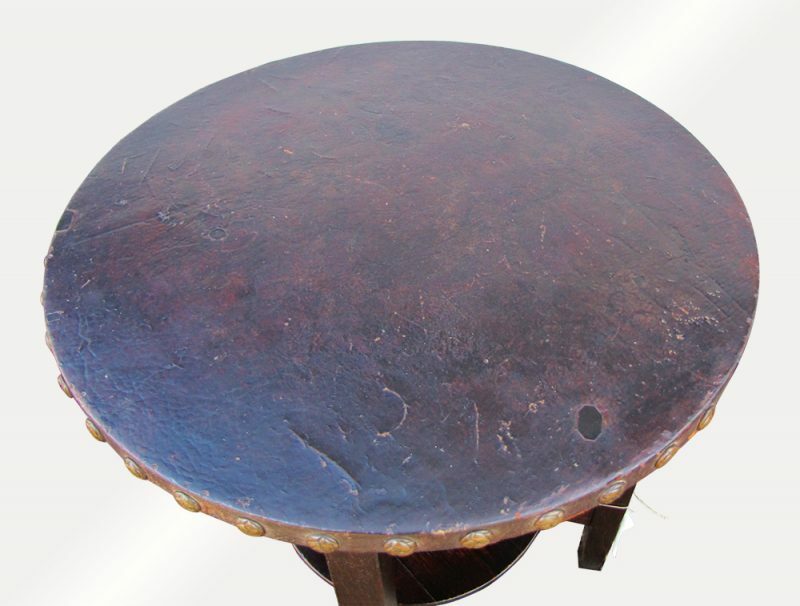 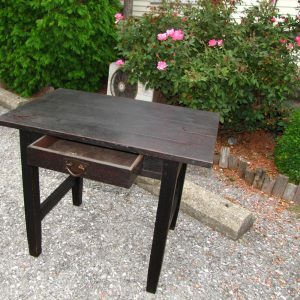 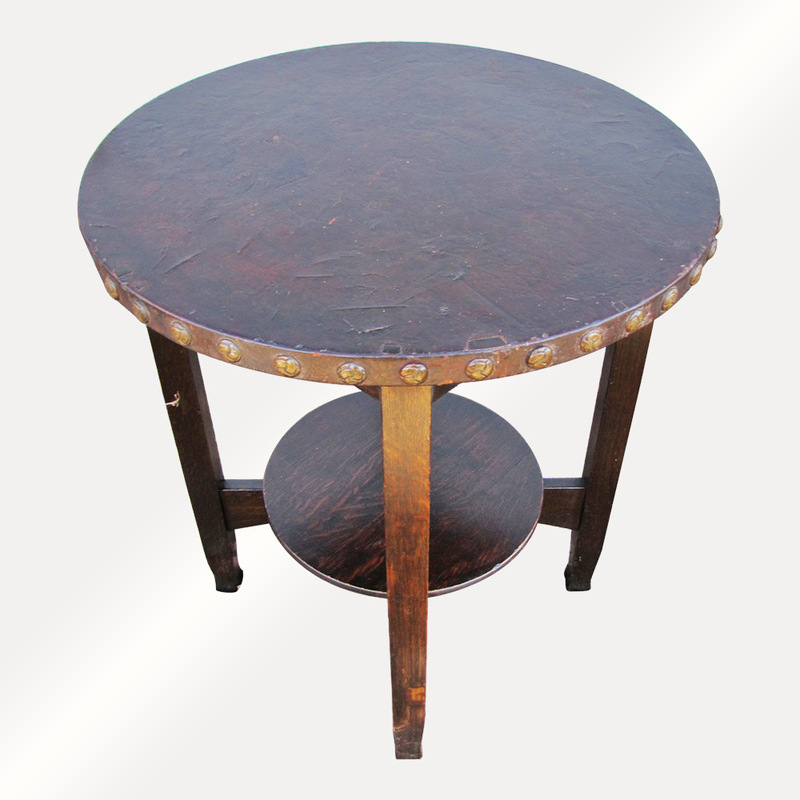 This table is in good condition and is with the original leather top and tacks. 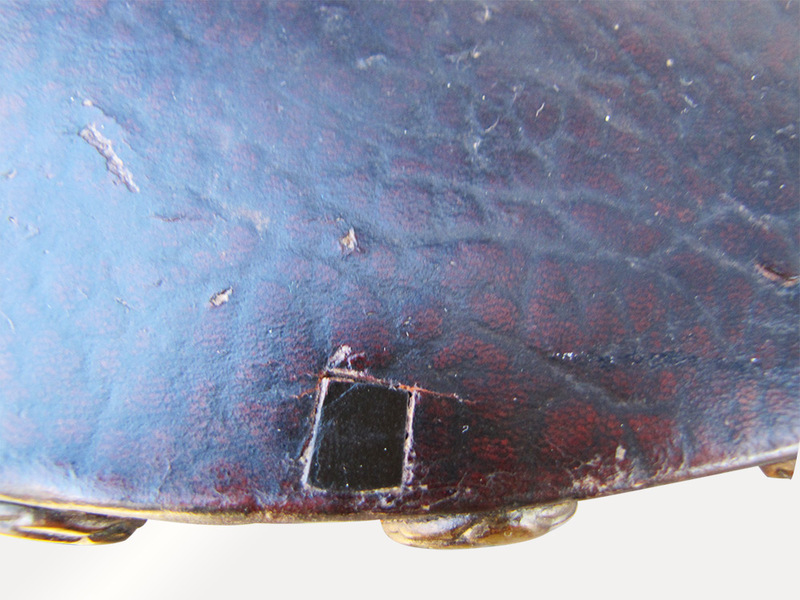 There is a minor repair patch on the top leather. 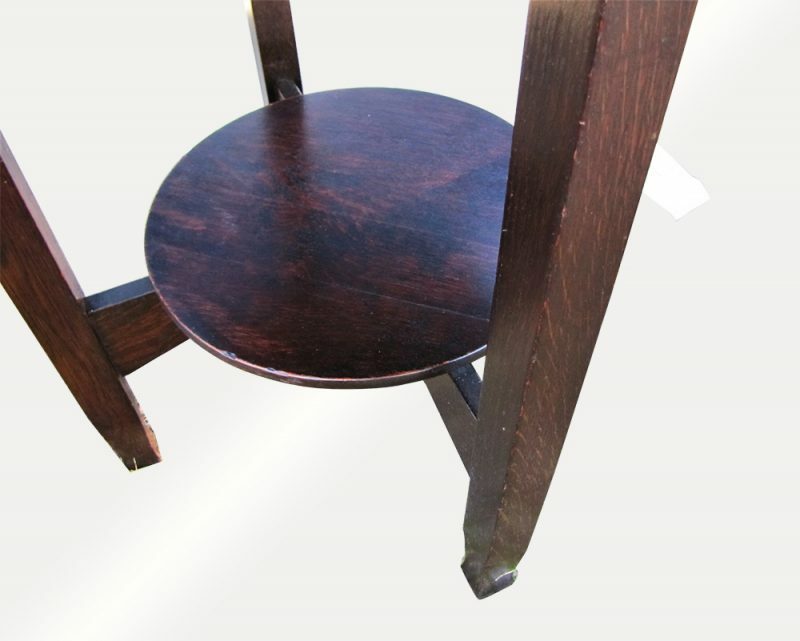 The table has a Stickley Brother metal tag. 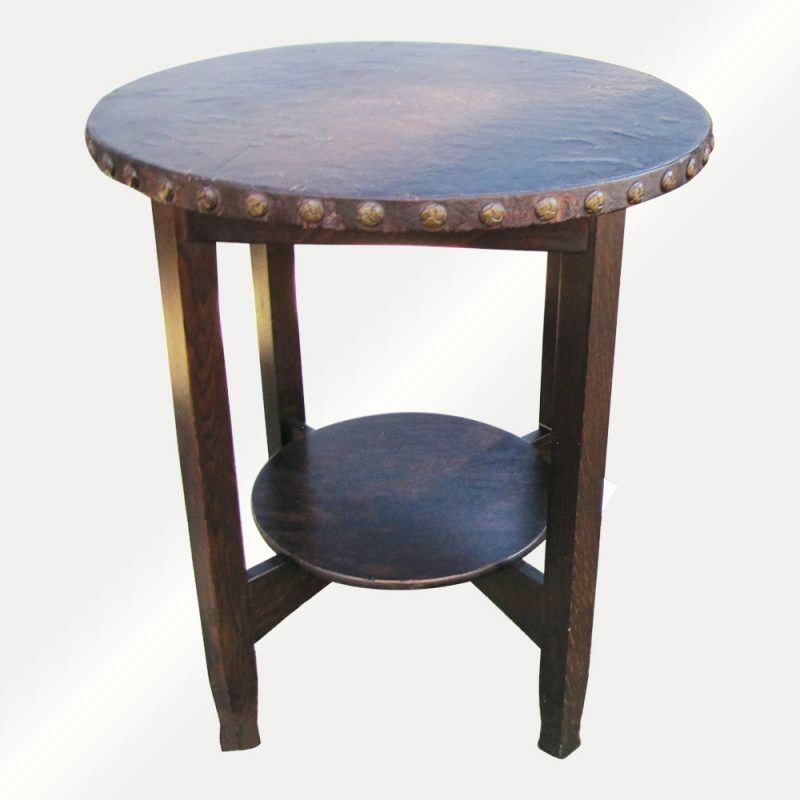 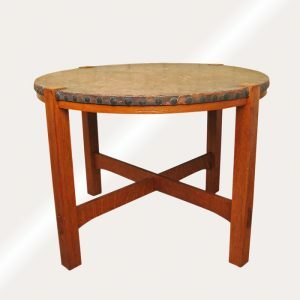 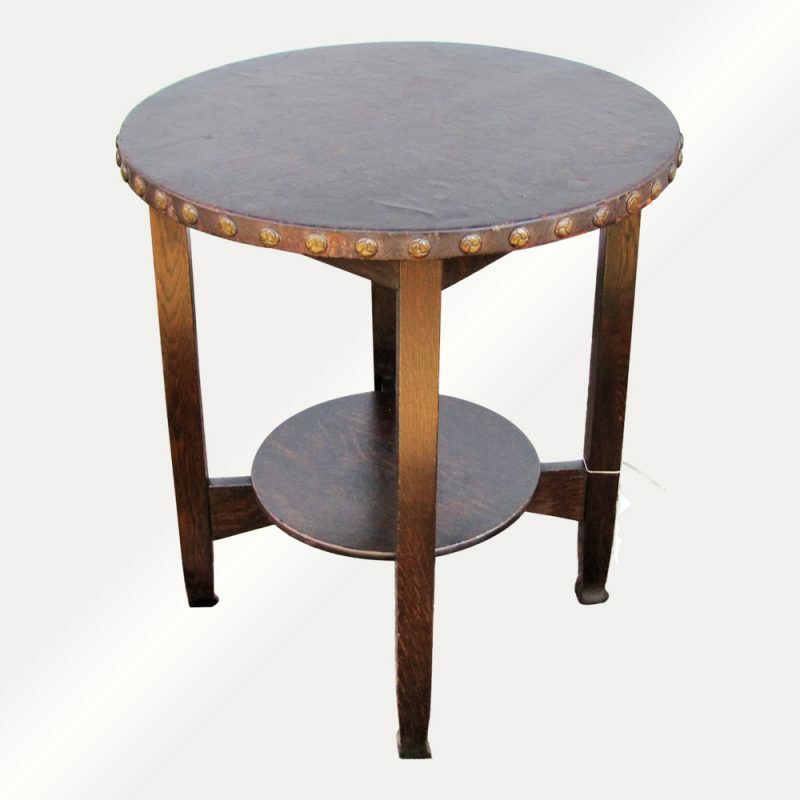 This lamp table is sturdy and strong and ready to be used in your home or business.